You are here: Home / God Doesn't Love Us / Year of Me…Interrupted Already? 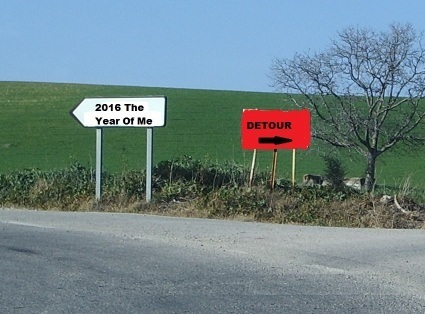 So, 2016 The Year of Me has barely begun, when I’ve hit a bit of a stumbling block. I had the displeasure of witnessing a friend (or more like an acquaintance), lie without blinking an eye. It was in a group, fun setting and there wasn’t any pressure put on her to speak, much less lie, to us on the subject at hand. However, she did join in with a rather elaborate tale and as I listened I realized that I must now brand her, a person who is somewhat in my social circle, as a bold, unadulterated liar. Now in 2015 my LIVE LOVE LAUGH year, I would have organized an intervention (two others knew of her dishonesty) to help her understand there was no need to pretend with us. There is a certain freedom in learning to accept ourselves, with all of our flaws and without apologies. I learned that lesson recently and I do want to pass my experience and victories along in an effort to help her or anyone else. Believe me, my LIVE LOVE LAUGH year incurred a lot of critics – mostly of the “misery loves company” and the “I get to judge you” mindsets. It can be difficult breaking away from those who live their lives being overwhelmingly negative because at times you are so close that you don’t really see it. Nevertheless, a part of me believed that this friend/acquaintance could benefit from what I had to say even though I knew that as the messenger, I could get “shot.” Then I realized that in this new 2016 Year of Me, I just wasn’t prepared to– no, I just didn’t want to deal with the possible fallout of my good intentions. Now, for the record, if she was doing something on a larger scale that was seriously hurtful to her and others, I would definitely take action. But socially lying? I do feel like she’s a bit of a lost soul who has expressed her desire for real friends, but I don’t know if I can really help. Even if I can help, it would be a long and frustrating challenge, especially since I perceive she has other issues. So now I’m trying to decide if the rewards of this intervention are greater than the peace that comes with minding my own business. Can I truly embrace the 2016 Year of Me if I inject myself in someone’s life, especially when I’m not even sure if it’s wanted or will be appreciated? Is this a selfish outlook (Year of Me) or practical reasoning as I teach myself to be happy? Whatever it is, I need to learn how to be comfortable with my decisions or this is going to be a very, very long year.